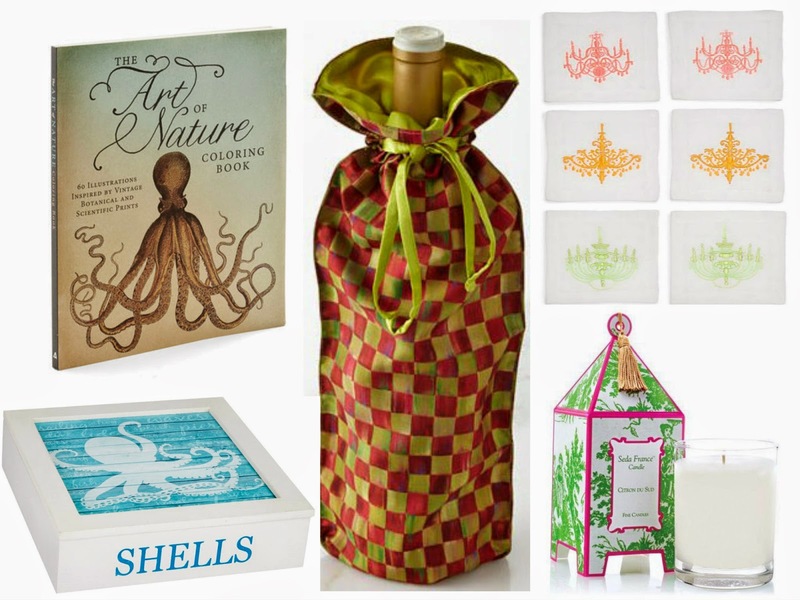 Do you need a thoughtful gift for a gracious hostess? Whether you are shopping for the beach lover, the foodie, or the hostess with the mostess, these gifts are sure to delight, while scoring a return invitation for you! Who says that coloring books are just for children? 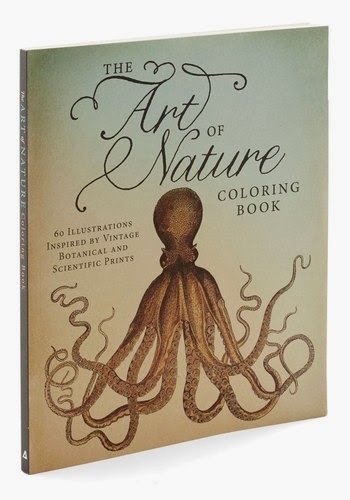 The Art of Nature Coloring Book is a coffee table worthy coloring book featuring stunning illustrations to color and admire. The high quality paper has perforated edges, ideal for framing your creations. I love to color and find it to be incredibly relaxing and fun. 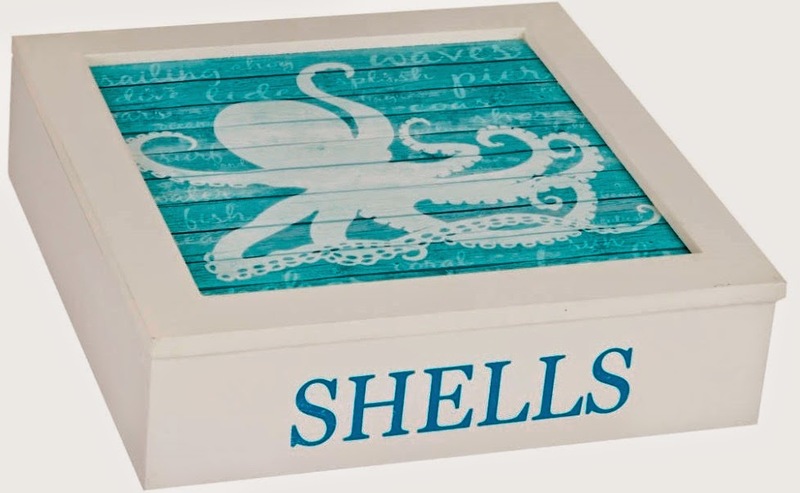 If you're headed to a beach destination, a shell box makes a lovely gift to be admired for a long time. Lately, I've been loving anything with an octopus on it, like this tunic that I featured here, and was tickled when I spotted this box. Smaller interior compartments make it easy to organize treasures from the sea. When in doubt, a bottle of wine is always an excellent choice for a hostess gift. 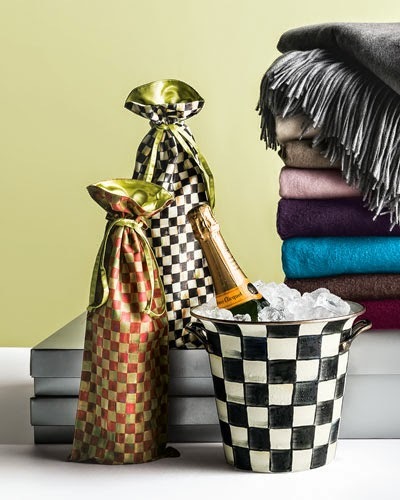 Wrap it up in style with the MacKenzie-Childs Orchard Check Wine Bag. At only $9 with free shipping, stock up on these now for gifting throughout the year. 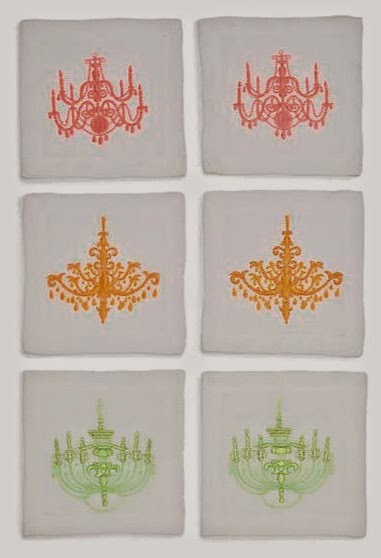 Chandelier Cocktail Napkins from Kim Seybert come in a set of 6 handmade linen napkins. An elegant addition to any table, the napkins are on sale for over 50% off the original retail price. Seda France candles last for such a long time and smell delicious. 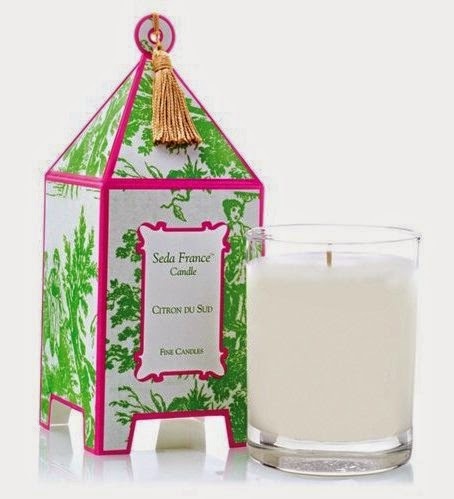 Transport yourself to a tropical paradise with the delicious coconut and pineapple candle. It's a lovely treat. P.S. Scoot on over to Jack Rogers! They're having a flash sale today only with prices up to 50% off retail.